Recently, I was having a conversation with a client about conflict and tough conversations. I find that as a coach, if I can help the client create a mental picture of what’s going on, it can be very helpful, so I asked them, “If the whole team was in a van traveling down the road and the vehicle kept pulling to the left, away from your destination, what would you think? He replied, “The car was out’ve alignment.” “Exactly, and if all four tires were out’ve alignment, what kind of damage would you do to the vehicle or the tires if you didn’t get it aligned?” I asked. “Okay, okay, I get it!” he said. Conflict is a result of being misaligned, when two or more parties are not aligned or in agreement about an idea, a course of action, values, etc. they eventually end up in a conflict of some sort. When we refer to the Middle-East we speak of the conflict in the Middle-East not a misalignment. While it may have started as a misalignment, it has elevated and maintained itself as a conflict for quite some time. In an office setting, misalignment can evolve into a full blown conflict, the longer you avoid it, the bigger it will be, even though the hope is that it will go away … it doesn’t! I once worked with a leader who thought that the simplest way to avoid the conflict was to realign his organization and take the problem person and give them their own team away from everyone else, because they didn’t want to address the issue head on. We talked about ways to address the issue and while they nodded their head in our sessions, they eventually started missing appointments, and then decided that coaching wasn’t for them. Their fear of conflict was so great, they were willing to reorganize their entire team instead of dealing with the issue head on. The important lesson here, is that conflict rarely if ever simply dissipates or goes away on its own. Your ability to influence others and keep your team aligned is critical to the success of your team and your ability to lead. If you can’t handle conflict … you shouldn’t be a leader. Understanding others first is the key to influencing others. Your ability to influence others is directly related to your ability to lead others. Without one, you don’t have the other. In others words, if you can’t influence others, you can’t lead, and you can’t lead, if you can’t influence others. It is as simple as that! 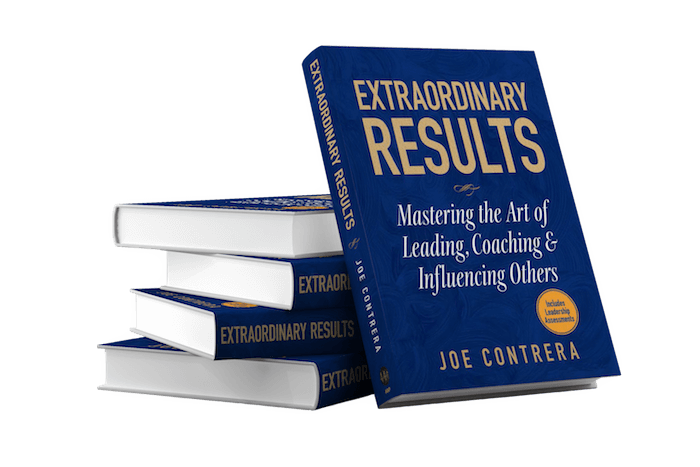 If you are interested in learning how to master the art of influencing others pre-order my latest book, Extraordinary Results: Mastering the Art of Leading, Coaching, & Influencing Others today for shipment on the 15th of April. Pre-order now and we will give you a 20% discount for ordering early (Offer expires 4/15/18). To get your discount just enter PREORDER in the coupon code section of your shopping cart. Here’s the link to order: EXTRAORDINARY RESULTS!